I think this may be the first time I’ve hosted a horror writer here on the blog, and I’m delighted to welcome Tobias Wade, along with some info about his latest release of 51 marvellously diverse short stories. With such a range, there’ll be something here for everyone, and isn’t that a gorgeously evocative cover? I love it! A diverse collection of horror stories including the grizzly confessions of a serial killer, parallel dimensions, becoming trapped in a virtual world, and encountering ancient aliens buried beneath the Earth’s crust. Demons, monsters, psychopaths, undead, mad experiments and paranormal – no matter what makes your heart race, you’re guaranteed to face your fear with these terrifying stories. I felt her arms around me, but she wasn’t trying to choke me or restrain me. She was… hugging me. It was such an alien sensation that I immediately opened my eyes. That’s when I saw them. Hundreds – no thousands of gossamer spider webs holding up her body like a marionette doll. I recoiled immediately, and she let me without the slightest resistance. The spiders were everywhere. Crawling across her face, through her hair. When she opened her mouth, I saw more of them inside her, pulling the threads to work her jaw. Her throat pulsed, and I knew more must be further down to vibrate her vocal chords. I was too shocked to fully understand what was happening. The alarm in my mind wouldn’t stop, and I still felt like I was about to pay for my rebellion. I didn’t want to stare, but couldn’t look away. I didn’t want to go and see, but my feet carried me there anyway. I opened Jeff’s room and found him on his bed. His hands and feet were bound with countless loops of spiderweb. More of it was across his face, tying his tongue securely to the roof of his mouth. His skin was perforated with a thousand holes, and spiders were crawling in and out of them as they carefully partitioned and wrapped each piece for consumption. 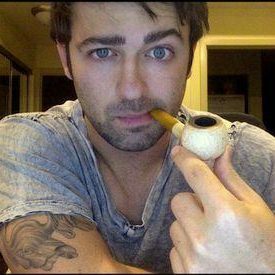 His eyes blinked at me, although I don’t know if that was a sign of life or simply the successful attachment of yet another internal strand. I quietly closed the door and let them finish their work. Former neuroscience researcher, born again horror writer. During my studies, it struck me as odd that I could learn so much about why humans behave without understanding the intricacies of human nature. It occurred to me that I learned more about the depths of human experience from reading Dostoyevsky than I ever had from my text books, and I was inspired to write. Website – My books, info, and horror blog. New stories every Monday, Wednesday, Friday. 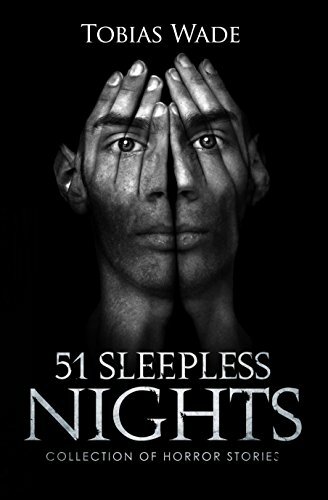 51 Sleepless Nights – Collection of my horror stories. The Last Man – Fantasy series. First two books free for new email subscribers. Wings of Renewal – Dragon stories for a new world. Next Louise Lyons’ “What’s Up, Pussycat” released – FREE!